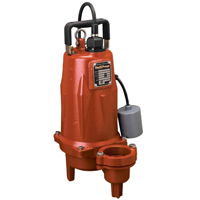 Sewage pumps from industry leading manufacturers including Liberty Pumps and Little Giant. Residential and commercial models with motor ratings ranging from 4/10 HP to full 2 HP, as well as various voltage options and cord lengths. Complete lineup of Little Giant automatic and manual sewage pumps, basin ejector systems and parts. Full range of sewage pumps and sewage ejector systems by Liberty Pumps in automatic and manual options. 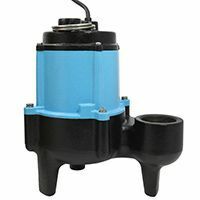 Manual and automatic sewage pumps with 2" or 3" discharge and wide angle or vertical float switch in regular and piggyback options. Simplex and duplex controls, high level and auxiliary alarms for indoor and outdoor sewage pump applications. Check valves, replacement cords, switches and other parts for sewage pumps and ejector systems. 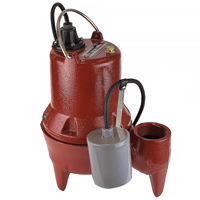 Sewage pump is a submersible, solids-handling pump with a large outlet and a powerful motor, designed to move liquid and solid sewage waste up to 2” in diameter. Submersible sewage pump is generally used in a basement, where plumbing fixtures such as sinks, showers and toilets as well as laundry equipment are located below the level of municipal sewage discharge pipe and therefore cannot be drained by conventional gravity means. The pump is installed in a sewage collecting basin and discharges the accumulated waste to the municipal wastewater system or other designated location. All sewage pumps are designed with legs which raise the pump above the bottom of the sewage basin, allowing for unobstructed entry of the liquids and solids. 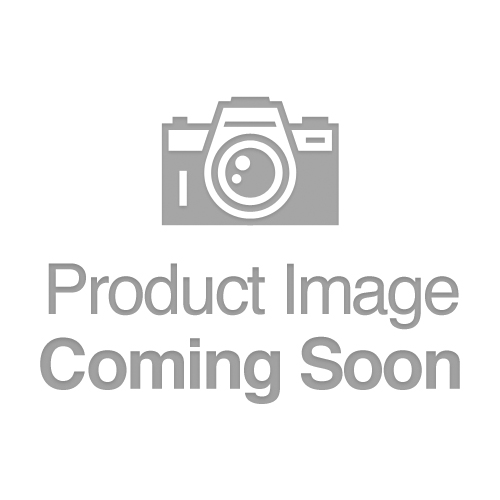 A manual sewage pump does not have an automatic switch and can therefore operate only by plugging it directly into the electrical outlet (residential models) or in conjunction with a piggyback switch. Manual commercial models without a plug are typically hardwired to an external control with float switches which run the pump in automatic mode. Automatic submersible sewage pump models come with a regular (wired into the pump) or piggyback type float switch which regulates the pumps’ on/off cycles. Wide angle float switch is most common, since it performs best in sewage water with debris and allows to adjust the On-Off level. Models with mechanical vertical float switch are best for narrow basins where wide angle switches are impractical. 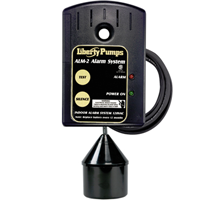 “Piggyback” type pump indicates that float switch and pump are two separate components, unlike with regular models, where float is wired directly to the pump. Piggyback outlet on the power cord of the float plugs first into the outlet, followed by the pumps’ plug. Such an option enables the pump to run in automatic mode, but also allows to bypass the piggyback switch and plug the pump directly into the electrical outlet, using it in manual mode. The pump curve chart specific to each model indicates the discharge capacity of the submersed sewage pump in GPM (Gallons Per Minute) at given elevation in feet. This data is of major importance, since it’s used to evaluate performance of the pump in a designated application and has a major impact on the HP (HorsePower) rating of the pumps’ motor. Most models have a 2” NPT outlet, adequate for majority of residential and light commercial applications. Select models come with a 3” NPT discharge to allow for higher flow and lower pressure drop as required by application. Power cord length on a submersible sewage pump can be anywhere from 10ft to 50ft in length and should be properly selected, since submersible pumps cannot be used with an extension cord for safety reasons. A 20ft or 25ft cord is sufficient for most installations. Residential sewage pump models have 115V rating, with the other voltages (208-575V) mostly used for commercial, industrial and institutional applications. Commercial models may come without a plug, indicating that they must be hardwired to an external control.